As a business owner, entrepreneur, consultant, or employee, we all have our own agendas. Sometimes we set those priorities ourselves and, other times, they come from above. But, they're always there. We need to move that inventory, push this service, promote that product, and get people to do what we want them to. But, what ever happened to listening to what our customers and clients actually want? On Mother's Day, I wanted to take my mom to a fancy brunch and then out for a spa day. Sounds delightful, right? A swanky day for the two of us. How could she not be thrilled? When I presented her with my plans for the day, her response was less than enthusiastic. Her counter proposal? Come over with a pizza and then have me assemble this big audio cabinet that's been sitting in her den in a box for the last two years. Of course, since it was Mother's Day, I obliged. Four hours and nearly 200 parts later, I had my mom's cabinet assembled. Was it how I anticipated spending Mother's Day? No. Was it what my mother really, really wanted? Yes. Within two minutes of me finishing the project, she had a big smile on her face as she scampered about the house grabbing things to put in her new cabinet. On Mother's Day, my mom was my customer. She wanted; I listened. And, she was happy. So, why don't more of us listen when it comes to our businesses? Sure, we all have a bottom line to meet and some things we enjoy more than others. But, if we're not in business to make our customers happy, it's all a waste of time. Look at your business closely. And, most importantly, put on your listening ears. What are people telling you? What would make their lives easier, happier, and more fulfilling? They're showing you what they want each and every day with the actions they take, or don't take. Listen to them. And, then be a hero and give 'em what they want. It's all about listening in life....what a wonderful story that you shared about your Mom's Mother's Day...it's a perfect example of how taking ego out of the conversation and opening yourself to the listening possibilities, can really enhance a relationship. And, the good news is that, even when we give up ego and allow ourselves to listen, there is usually a great outcome for all parties...look at how your Mom's happiness really made your day! It may not have been your original plan and perhaps there were some grumbly moments when you were putting together the 200 piece cabinet ;-) but, when you saw your Mom's response, it was suddenly a gift to you as well. Hello, my favorite social media dentist! I think you bring up an important element here, Claudia. Ego. It's not about us. It rarely is. It's about the impact we have on others. As you say, it comes back to us. Not to be all new age-y, because I'm seriously not. But, when we look to the big picture and extend our thinking beyond ourselves, it's almost always a good start. Thanks for chiming in, lovely lassie! I'm sure this is why so many small businesses don't ask their clients what they want - they're too afraid of what they might hear! This can be even more of a problem when the industry involves highly qualified business owners who may be quite convinced that they know already know what's best for their patients and clients. Hmm - that word 'ego' comes to mind again! You're so right, Judy. Lots of folks don't want to hear. Giving consumers a voice is scary to many business owners. What if they tell us they want us to do something different or that they don't like the direction we're heading? 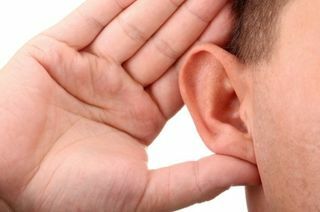 Listening means hearing things you may not want to know. This part just about nails it: "
be a hero and give 'em what they want." If you listen, and I mean truly listen, and respond with a sense of care, they'll appreciate you and thank you so much for it! Even if you don't always have the specific answer they're looking or hoping for, they'll appreciate that you took the time to acknowledge and respond to their question/request. That's so true, Ricardo. It's such a pity that fear is frequently the underlying factor that prevents companies from listening. As you say, people just want to be acknowledged. You're so right, Eleanor. I come across this all the time. Today, in fact. You, as the owner, may want to make XYZ improvement, but it's of no consequence to the consumer who would much rather see ABC fixed, well then, you lose. I tried to address this very fact today with someone and he looked at me like I was drunk.